Melatonin Supplements: Did You Know This Over The Counter Sleep Aid Is Often Overdosed? What Is Melatonin and How Was It Discovered? Melatonin is a naturally occurring hormone which is produced in the pineal gland in our brains. It was first discovered in 1917 by scientists who observed that an extract of pineal glands fed to tadpoles could change the color of their skin. 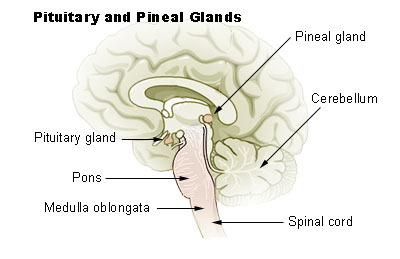 Much later in 1958, new research on pineal glands showed promise for skin health. Again, the connection between Melatonin and sleep still had not been made. In fact, it wasn’t until 1970 that a connection was made between Melatonin and sleep. It was observed that in human pineal glands, Melatonin followed a rhythm that coincided with wake and sleep, which gave the first indications of the implications of Melatonin for sleep. This rhythm is called the circadian rhythm. From this point on, interest in Melatonin had started to increase and research started to conclude that Melatonin is intricately linked with light coming into our eyes. Furthermore, in 1993 it was discovered that Melatonin also has significant effects on the regulation of oxidation in the brain. Clearly, Melatonin plays a very big role in our brain, so what exactly is it and how is it made in our brains? Melatonin is a hormone that is closely related to serotonin and occurs in miniscule amounts in our diet. Melatonin is N-acetyl-5-methoxy tryptamine, whereas serotonin is 5-hydroxytryptamine. As can be seen from these names, Melatonin is an acetylated and methylated derivative of serotonin. Since there is very little Melatonin in our diets, it is clear that Melatonin is coming from within the body. The fact that it is so closely related to serotonin may have already tipped you off that the serotonergic system plays a large role in Melatonin production. The short explanation is that, within the pineal gland, serotonin is acetylated and subsequently methoxylated by two different enzymes. In other words, our serotonin and Melatonin systems are intricately linked together. The longer and more in-depth explanation is that the pineal gland starts making Melatonin when norepinephrine binds to the beta-1 adrenergic receptor. Stimulation of this receptor leads to a signaling cascade that starts with the elevation of cyclic adenosine monophosphate (cAMP), which then activates protein kinase A (PKA). Activation of PKA then leads to the activation of an enzyme called arylalkylamine N-acetyltransferase (AANAT). AANAT converts serotonin into N-acetyl serotonin. N-acetyl serotonin is then converted to Melatonin by N-Acetylserotonin O-methyltransferase (ASMT). Melatonin can then act on the Melatonin receptors MT1 and MT2. Upon exposure to daylight (in the morning), norepinephrine signaling through the beta-1 adrenergic receptor diminishes, causing a deactivation of AANAT. This is a very sensitive system that is dependent on light from our environment, which includes artificial light. In addition to this, as we age Melatonin production starts to significantly slow down. This can lead to problems with both getting to sleep and staying asleep. Luckily, a Melatonin supplement appears to be able to improve our circadian rhythms if they fall out of sync, thus indicating the usefulness of Melatonin for sleep. This can be especially useful for combating jet lags and re-adjusting to a new sleep schedule. That being said, it is often times hard to figure out what the best Melatonin dosage is, as there appears to be a lot of misinformation surrounding what a Melatonin dosage should be. If you walk into a store, you will be able to find supplements with a Melatonin dosage as low as 300mcg but also all the way up to 10 mg! That is a 3,233% (or 33.3 x more) difference from the lowest dose of Melatonin (300mcg or 0.3mg) to the highest Melatonin dosage (10 mg)! Let’s put that into perspective. Regular caloric intake per day is around 2,000-2,500 calories a day, so at 3,233% more, this would be an impossible 66,600 - 83,250 calories a day! That would be a whopping 1,480 - 1,850 Oreos in a single day! It is hard to judge how much of a difference there truly is between a 10mg dose and a 300mcg dose just looking at those small numbers, but taken into perspective in the calorie example, there is clearly something awry. So, what is the correct dose of Melatonin? The optimal dose of Melatonin may be a little bit surprising, especially considering the example above. In various studies, it was found that the correct dose for Melatonin is actually very low, clocking in at a mere 300mcg (or 0.3mg). This dose appears to elevate Melatonin to significant levels in the brain while minimizing the incidence of potential Melatonin side effects. In fact, there wasn’t much benefit to taking more than 300mcg, and from the looks of it, taking more only appears to promote potential Melatonin side effects. So if this is the case then why is it so common to see supplements with a Melatonin dosage upwards of 10mg? There are a few reasons for this, the first of which being a patent on the use of Melatonin. Much of the initial research on Melatonin was done at MIT, and these scientists realizing the potential of an effective Melatonin supplement, sought to patent Melatonin in order to ensure exclusive use of Melatonin. However, since patenting a naturally occurring compound can be a little bit tricky, they only got a patent for the use of Melatonin from 300mcg up to 1mg. They specifically picked that dosage range because it was the ideal amount and they figured that would cover them on the patent side. This was done partially with regulation in mind, but what ended up happening was quite the opposite. Why is Everyone Taking Too Much Melatonin? A lot of manufacturers of dietary supplements also saw the potential demand for something safe to promote sleep. So to get around the patent they simply dosed their products above 1mg; because more is always better right? Turns out, the exact opposite is generally true for Melatonin. However, without clear information about what Melatonin is, unknowing customers have been consuming the "extra strength," "max dose" marketing presented to them and opting for the highest dosed Melatonin supplement available. Imagine if other supplements or drugs were given in the same fashion! It would be insanity! The good news is that the patent for the use of a Melatonin dosage from 300mcg – 1mg expired a few years ago. However, many manufacturers are still sticking to the higher dosages. Unfortunately, this is because we have gotten used to high-dosed Melatonin. It’s a pretty hard thing to convince someone that they should be taking about 30 times less Melatonin then they have been for years and this is why it is still somewhat uncommon to see low dosed Melatonin in stores and online. However, we are trying to change that, as a lower dose Melatonin supplement is better by most indications. Read on to learn the the science behind that conclusion. Why is a Lower Dose of Melatonin Better? When Melatonin is naturally produced by our pineal gland, it reaches an average concentration of about 200 pg/mL. To reach a similar concentration, a dose of 300mcg - 1 mg is needed. This should tell us something important. The melatonergic system is a sensitive and intricate system, so we want to try and keep things as natural as possible. The reason why we are supplementing with Melatonin is not to produce excessive melatonergic effects, but rather to mimic healthy levels of Melatonin in order to naturally support a healthy night's sleep. Taking much more than 300mcg – 1 mg would elevate Melatonin levels far beyond 200 pg/mL. Does higher bodily levels of Melatonin produce additive effects that are beneficial? The answer to this appears to be a resounding no. Melatonin is very rapidly absorbed and distributed throughout the body and brain. In fact, even a Melatonin dosage in the sub 1mg range, appears to be able to completely saturate Melatonin receptors to the point that no more Melatonin can bind to the Melatonin receptors. The saturation level for Melatonin receptors has been suggested to be at 200 pg/mL which means that any further increase is not going to have acute effects of a significantly higher magnitude. Now to get back to our magic number of 300mcg, this dosage appears to produce plasma Melatonin concentrations of 116.14 pg/mL, which clocks in at about half of the Melatonin receptor saturation point at 200 pg/mL. The theory here is that any dose of Melatonin which raises Melatonin plasma concentrations above 200 pg/mL will result in a whole lot of Melatonin not binding to the Melatonin receptors at all. For example, a dose of 5mg can cause Melatonin plasma levels to increase up to 11,614 pg/mL, which would leave 11,414 pg/mL of Melatonin that is not binding to Melatonin receptors. With a Melatonin dosage of 300mcg, producing plasma Melatonin levels of 116.14 pg/mL, all of the Melatonin supplemented should act on Melatonin receptors. This is, of course, not taking into account that in fully normal melatonergic systems, plasma Melatonin concentrations already go up to about 200 pg/mL at night. This means that a 300mcg dose would provide just enough Melatonin to fill in the gaps if there are any at all. These gaps of course being caused by things like jet lag, old age, or even a disrupted sleep schedule with lots of blue light exposure around bed time. You may still be asking yourself "why not just take a 5mg dose of Melatonin?" It’s not cost prohibitive and you’d be absolutely sure that your Melatonin levels are adequate. This is where things start getting tricky, and we need to delve into pharmacokinetics even deeper. We are now dealing with the speed of metabolism. At a dose of 0.5mg (or 500mcg) of Melatonin, it takes 6 hours after administration before we are under the saturation point of 200 pg/mL. Considering a full night’s sleep is about 6-8 hours, this is also a pretty ideal dose of Melatonin for sleep. The same cannot be said for a 3mg dose. After a 3mg dose of Melatonin, it takes a full 11 hours to fall below the saturation point again, which is far too long if we take into account that a normal night of sleep is about 6-8 hours. Practically speaking, what this means is that a 3mg dose of Melatonin is going to bind to Melatonin receptors for a much longer period of time. Ever take a high dose of Melatonin and find it difficult to wake up in the morning or feel groggy for the first part of the day? When your Melatonin receptors are saturated for 11 or more hours, you are throwing your entire circadian rhythm out of balance. 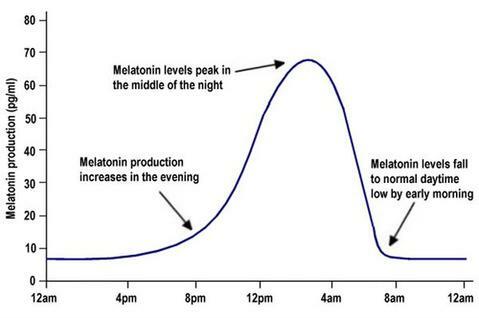 As we mentioned earlier in this blog, once we are exposed to light again, Melatonin production halts. With a 3mg dose we would still have so much Melatonin in our systems that our natural “off” switch would be overridden. In practice, this results in our circadian rhythm being advanced (which for the sake of a healthy circadian rhythm) is not a great thing. The consequences of the advanced circadian rhythm in the long term may mean worse sleep over time, rather than better sleep that is usually observed with lower doses of a Melatonin supplement. Furthermore, excess Melatonin has been implicated in potentially negatively impacting mood. This is somewhat logical, as Melatonin is intricately linked with the serotonergic system and dysregulation of the melatonergic system could translate to dysregulation in the serotonergic system. This is significant for mood, as serotonin is an important regulator of our mood. With this consideration, we have to ask ourselves if Melatonin is safe at higher dosages? If I want to take a higher dosage, how much Melatonin can I take and how much Melatonin is too much? The basic answer to these questions falls in line with the original MIT research and patent. Melatonin at a dosage of 300mcg – 1mg is very safe. However, going beyond this dosage is not particularly wise. The most Melatonin we should ever be taking for sleep should be 1mg. This will already put us way above the saturation point but it doesn’t appear to be high enough to significantly advance our circadian rhythm. In conclusion, there appears to be very limited added benefit to taking a higher dose of Melatonin due to limitations imposed by the saturation point of melatonergic receptors. Based on the advice of many researchers in the field of sleep sciences, we recommend to take a low dose of Melatonin at 300mcg. Overall this appears to be the best dose of Melatonin for sleep, which maximizes Melatonin's benefits while minimizing Melatonin side effects. We hope with this blog article that we’ve been able to explain why Nootropics Depot and so many reputable vendors stand behind the science of using Melatonin for sleep at drastically lower doses!